DAYS 16-18 – X-Mas Break – a question to mull over. 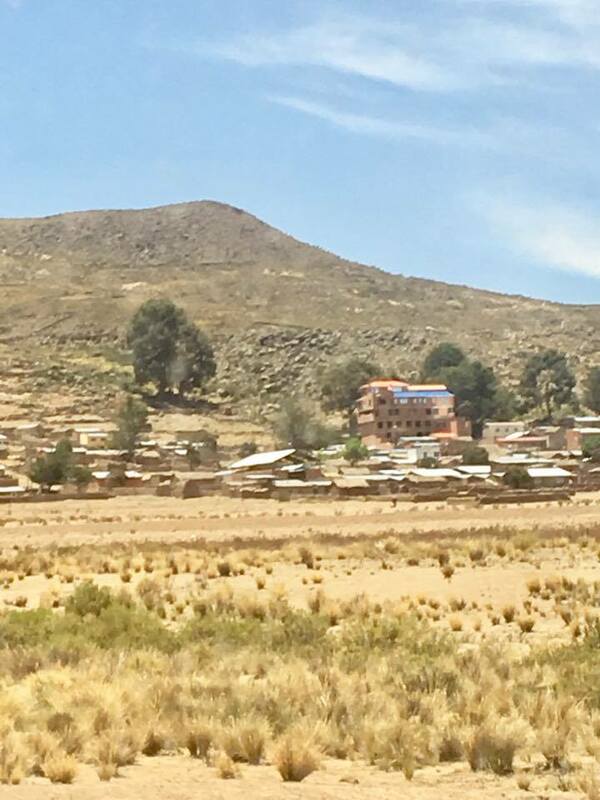 Bolivia’s dry fields in summer drought. What’s the difference between suitability and maintenance? As I’m here in the dry quinoa fields, seeing the dust fill the carefully plowed rows, hearing farmers tell me how they did not plant the regular crops this year – fava beans, wheat, potatoes, onions – or if they did, it was a very much reduced amount – because of the drought and unpredictable weather. Though it has rained a bit, it is too late in the growing season to really plant anything now. The harvest and frost comes in June. I ask them how they will eat and live in the coming months, without a harvest to sell. 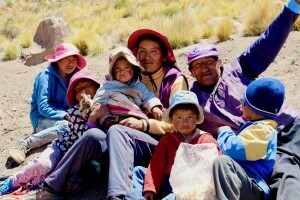 As always the Bolivians are thrifty and resourceful. Some show me their quinoa storerooms, full with unsold grains – they are waiting for the prices to raise again. 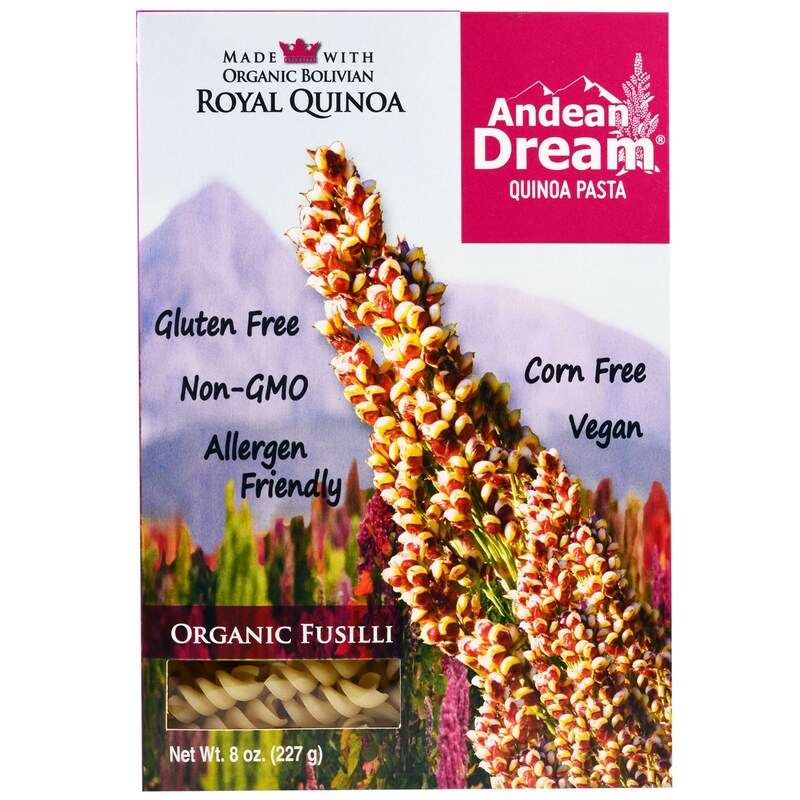 Which, if the drought has reached Peru, we might actually see if less quinoa comes to market in May 2017. 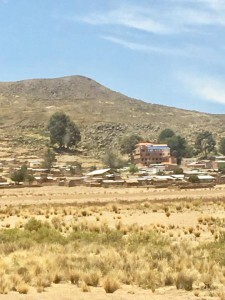 Others, I observe, choose to return to the mines and work there, or turn back to smuggling unregistered cars from Japan across the Chilean border and through the Atacama desert, some become taxi drivers in the city with their newly purchased vehicles, others had already invested their quinoa earnings into large 18 wheel trucks and switch to becoming long distance truck drivers hauling loads of rice, wood and other cargo from the hot tropics of Santa Cruz to the high mountains of La Paz. All are in cooperatives, working together to share the administrative work of dispatch, marketing and earnings. 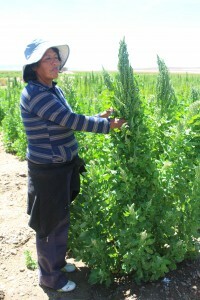 I ask the wholesale market buyers what they think about the future food security for Bolivia. Prices right now are staying steady, there are early harvests of corn and tropical fruits such the red mango which are plentiful. In addition, there seems to be no limit to the bananas, oranges, papayas which are regular producers in the tropics as well as plenty of potatoes, wheat and barley from the 2016 harvest. 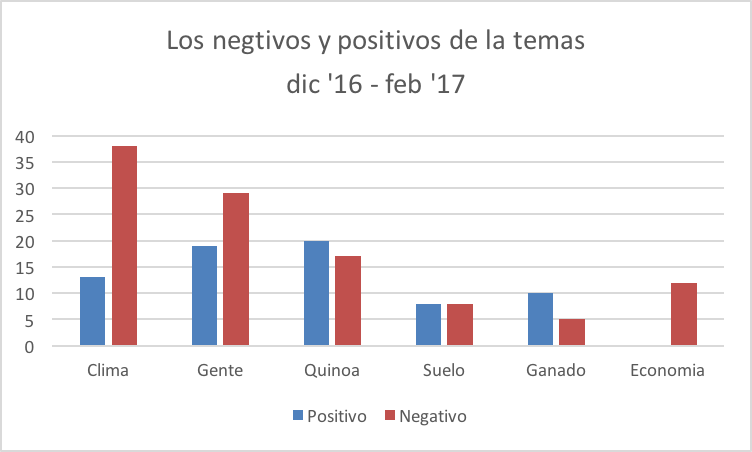 It seems the full impact of the drought will hit Bolivia in May 2017. 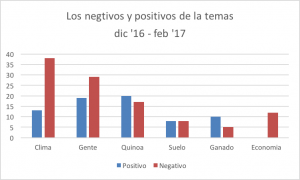 The market buyers think that they prices will go up and they will be buying more food from Chile and Peru. I ask them if they know if Chile and Peru are facing the same drought challenges as Bolivia – they look at me blankly – they have no idea. I ask the agronomists and engineers I work with what the government is doing to prepare for this apparent upcoming food shortage, the response is nothing. Apparently the multitude of government ministries, though they overlap in their work, are not coordinated or working together. In addition, explained the engineers, it is not in the government’s habit to think ahead, they simply react to what is currently happening. So I turn to the indigenous leaders, the elected officials from the local communities who wield total power over the rural lands, what their ideas are on this. They also are not sure. It is not something they have worked with before, but they are sure it will pass, it always had before, if not, then they will worry about it as it comes and once they know what it is. I’m starting to feel like Chicken Little, her asking about food insecurity while the country is rife with restaurants, markets filled with fresh foods, and fully stocked grocery chains growing in all the cities. Never-the-less, I’m still perplexed. Isn’t the anyone who is interested in studying what is happening, thinking about solutions, and preparing for a more secure food future? I ask the university professors, if this would be a class project or area of research they are interested in. No, I’m told, the education here is different than the US. Here it’s theory and classroom practice. There is no applied learning – unless a student took it upon themselves to study the impending drought and food crisis as a thesis project. Since most of the students are focused on getting good jobs in the city, few have interest to look at the rural countryside, especially after the president kicked out all of the foreign development organizations in the 2014 and essentially banned non profit organizations of any kind. He claimed there were undermining the government and being manipulated by foreign interests. The women in my focus group speak of Suma Qamana, the Bolivian philosophy of “Living Well” where leadership and resources are managed and shared by all, as a matter of fact – the way that things have become. Now, instead of corrupt, government appointed cronies, community members themselves work together to make community based regional decisions, that have a conservation perspective to them (ie preserving the land, not overusing natural resources, recycling, composting) and include an even distribution of resources. Mayors buy local foods for school snacks, indigenous traditions are taught in the classroom, local associations donate gifts and food to the community and its membership. While this is all well and good – and there has been a noticeable change in the quality of life in the rural areas – literacy rates climbed from 60% to 98% and electricity, potable water and food seem plentiful, it does not seem to be enough. What is lacking is the innovation – the drive to do something more, to make a change, to find a solution before there is a huge problem, to be curious, proactive and inventive – is not there. I have always equated the Sumaj Qamana philosophy to sustainability, looking at how it carefully includes all and places the earth’s rights first, its longevity in its indigenous roots, expending back thousands of years, ad meeting the needs of today’s complex world. But is it? I think back to neo-liberalism and capitalism – the kingpin of these dominate ideologies being the drive for competition – to be better, do more. And efficiency, to do it faster, smarter – much at the cost of human welfare and the natural environment. However through the chaos and ruckus of the winner-loser game that these two philosophies play, comes the innovation and invention that drives us forward. Me from my rocky, dusty outpost in Bolivia feel I may be calling for the same. 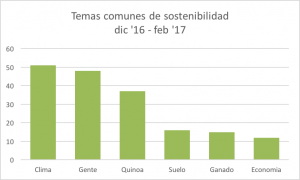 Is the Suma Qamana sustainability really simply maintenance? The stirring of the ingredients in the same old pot, just mixing it up, but not making anything new? What happens as the stew evaporates and the ingredients begin sticking to the bottom? What happens when there is no more to stir? Is sustainability simply maintenance or is it something more – does it need to maintain while also evolving, innovating – like nature systems, adapting… but at what rate? In what why? The Iroquois always spoke of the seven generations – planning ahead for 150 years. Where is the balance here? A Sustainability Circle from my summer Fulbright research of quinoa growers and local sustainability in agricultural communities (scroll back to the previous blog series to learn more). With KUSIKUY, the new budget is in. Team is forming. Mentors are looped in and networks reached out to. On the academic front the MHC syllabus is done, guests invited, projects confirmed, notices sent out, and calendar arranged (classes start Tuesday…). Now I can take a respite from the busy beaver planning, organizing, coordinating… and sink into some deep thinking, letting my spirit wander though the ether, gather up ideas, thoughts fleeting images and forms and shape them into something palatable and important – calling to soul and spirit. 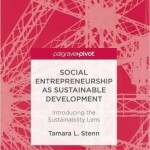 And so starts day 1 of writing a new academic text, a short philosophical pivot book on how social entrepreneurship builds sustainability in today’s world. Spring is certainly the time for new beginnings! 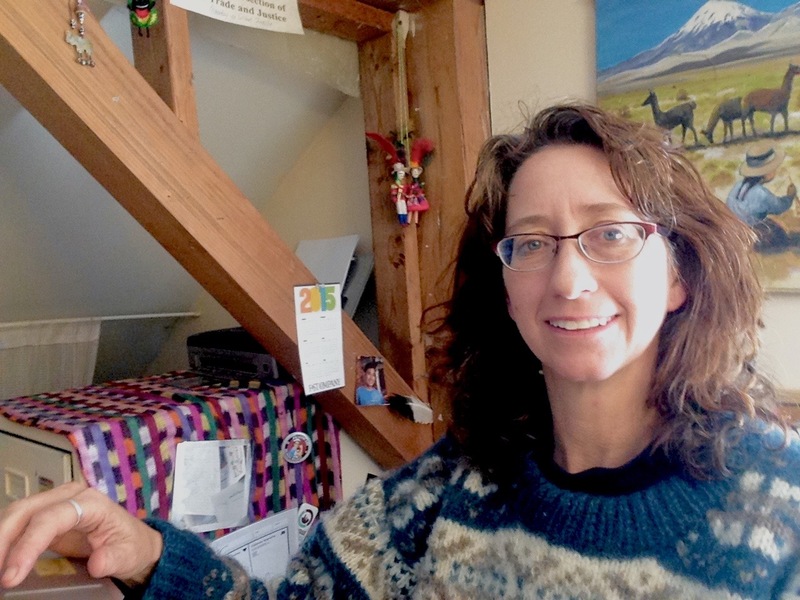 “The value of my resources are my time, energy, money, the knitters, the yarn and access to designers that work in the market I would like to get in to. Just to clarify, there is no eco-market, there is market where good design in produced in different ways. Good design is the key. I need a mentor/investor who gets that. More, bigger, faster is not always better. The investor must understand that mass and larger is not the trend or ultimately a sustainable business model. Companies like Gap, J Crew and Barneys (due to the new owners’ Wall Street model) are hurting and not the future. This does not mean that KUSKUY will not grow and be profitable, it will. It means that growth is part of the model and needs to be balanced with thoughtful development. This KUSIKUY does well. Niche design companies like Rachel Comey, Mara Hoffman, Ulla Johnson, Lauren Manoogian have been around, sustained recessions and are on the rise. Companies like Alabama Chanin, Outlier.cc, Kaufmann Mercantile, Not Just a Label and Hackwith Design are the business model pioneers to name a few. For investors, this is not charity, it’s using money to support a business whose work they believe in without traditional growth expectations and demands. Traditional capitalism (with quarterly growth demands) discriminates against the artisan/craftsperson and rewards mediocrity. KUSIKUY is not mediocre. We provide the best fashion, highest quality functional design, and create sustainable, meaningful change for hundreds of Andean artisans and herders. The image above are the concept boards for our new re-launch. Please respect the (c) on our ideas. Day 15 – Who will take my survey? Sample model from South Africa. As I get ready to travel to the salt flats to begin my quinoa study, I continue to modify the Circles of Sustainability model I will be using. This model was developed by support from the United Nations. 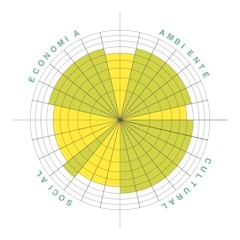 It is a qualitative, place-based model that measures one’s experiences in the areas of economic, cultural, political and environmental well-being. Until now, the models have been used in urban settings in Melbourne, Australia, Sao Paolo Brazil and Cape Town, South Africa. This will be the first time the model will be used to measure sustainability in a rural environment. Ideally the survey takes 15 minutes to complete. 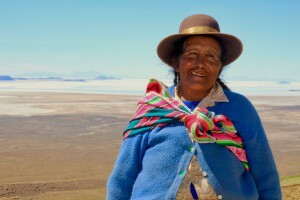 It has 10 demographic questions that include cultural identity, languages used, political and business affiliations; all-important distinctions for people living in the Bolivia countryside. It also has 33 questions that pertain to the four areas mentioned earlier: economic, cultural, political and environmental well-being. These address concerns about education, the natural environment, wildlife, education, clean water, gas and electricity access, different ways earnings are made: mining, livestock, vegetables, the access to goods, and cultural participation in festivals, dress, and customs. The last thing I ask about is indigenous knowledge. What is known or shared that comes from the past?